Summer Sinus Issues Got Your Clients In A Haze? Seasonal allergies and sinus issues in the Spring/Summer months can take the fun out of many activities, work and just day to day functioning. If you're noticing clients coming in stuffy, red eyed or dealing with sinus pressure, have a few services and products readily available to help ease their suffering! Baby Magic Globes - these are a life saver! 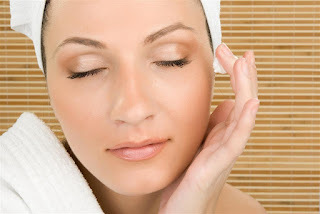 Store them in the freezer to have ready to place under clients eyes, along the sinus area and forehead. 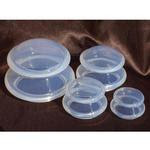 Amazing retail item, easy to travel with and simple to use! Aromafloria Sinus Help Inhalation Beads - these are one of my all time favorites as well. With Eucalyptus, Peppermint and Lemongrass essential oils, this feels and smells wonderful when dealing with clogged and painful sinuses. Sinus Mask by Elastogel - hits all of the sinus points to provide soothing relief to inflamed areas. Essential oils are an easy way to add relief to nearly any service. 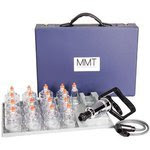 From single notes to blends, you can customize for each clients specific pain point. Clients may not even realize you can help them with these issues! Be sure to check in and keep dialog open to see all of the ways you can provide relief! Kinesiology tape is a phenomenal, and often under used tool to help relieve client pain, and as a self care tool for therapists. The widespread use of kinesiology tape on professional athletes and physical therapy offices has made it much easier to talk to clients about. Aside from physical therapists, many massage therapists, chiropractors, acupuncturists and wellness workers have successfully incorporated it into their treatment plans to help alleviate pain, improve posture and stability. It is also valuable as a self care tool to help with everything from hip and back pain to De Quervain's thumb! Move over carpel tunnel syndrome, an issue becoming more and more common is text neck. Yes, exactly as it sounds - neck issues stemming from tilting your head down to look at your phone/tablet. Whether this is an actual medical term or not, text neck is a real problem facing a majority of people. Many clients may not even know the reason for their neck pain, shoulder pain and other issues (headaches are a common complaint! ), only that they are in pain. You can attract a new set of clients or, introduce current clients to new services by simply advertising "Texting Relief" or something much more clever! It gives you an opportunity to educate clients about coming in for massage regularly to alleviate text neck symptoms. It allows you to introduce busy clients who may not have time (or want) to come in for a full hour service. 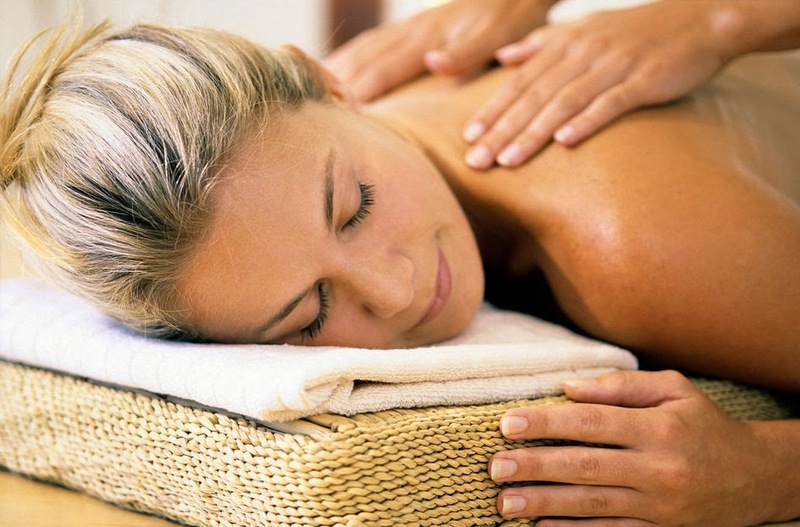 Offering an express massage focused on the head, neck and shoulders, is a perfect remedy! 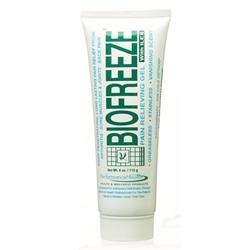 Be sure to incorporate some deep muscle therapy relief like Biofreeze, Sombra or Mother Earth Polar! 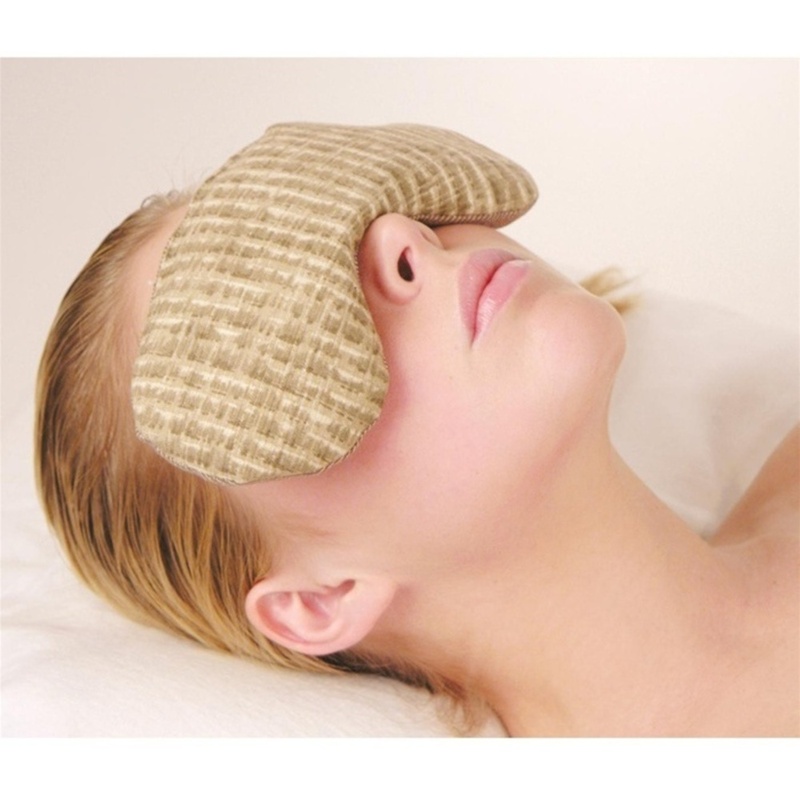 Also, relaxing aromatherapy blends, hot/cold packs for use in service and for retailing are key to have on hand! Corpak Hot/Cold Pack with Strap Trisectional - this is amazing for text neck! With summer in full swing and sadly half over, many clients have been seeing an increase of sore summer muscles! From swimming, running and playing on the beach among other things like gardening and sports, clients muscles are getting used in different ways than over the cooler months. 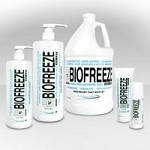 Aside from the awesome services you provide to alleviate pain, are you supplementing with a cooling therapy? Are you sending them home with something to help their sore muscles until their next treatment? Or are you just looking to try out something new? Whatever the reason, take a look at the new SubZero™ Cool Pain Relieving Gel! 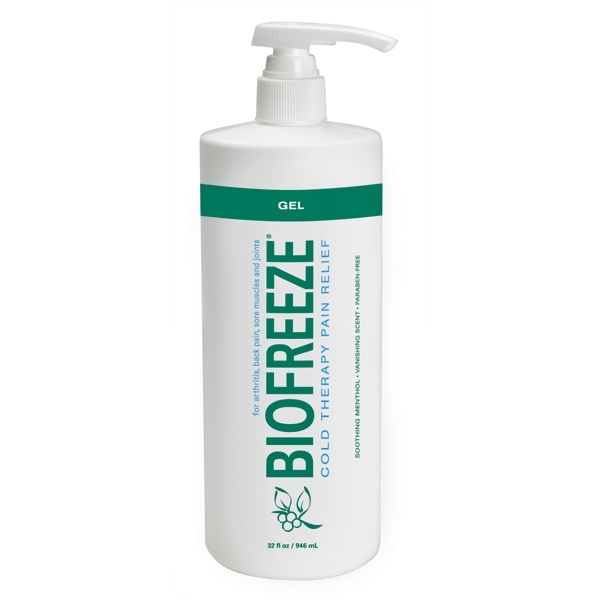 Colorless and odorless, this menthol packed gel will be a great additional to your tools! Take a look at the whole line! Everyone remembers that scene from The 40 Year Old Virgin when Steve Carell's character gets his chest waxed and screams in pain. No one wants that to happen to them. No Scream Cream and Get the Bump Outta Here by Relax & Wax were shipping like hot cakes this week. Seems like everyone is getting ready for the summer... why? I have no idea... I'm just a shipping guy! See our great Relax & Wax selection HERE! Got A Pain In Your Neck? Therapist, technicians, physicians and more at some point in their career have experienced neck pain. No matter how mindful you are of body positioning and self care, sometimes it's just inevitable. Sleeping positions and stress are also great causes of neck and shoulder pain. While receiving regular self care (massage, chiropractic or whatever you prefer!) is vital, here's something to help out as well. This may not look like much but this little thing rocks. It's got a cool design and has high density foam that forms to your body so it's a natural comfortable fit. It takes the pressure off of the neck and shoulders to relieve tension, relax the muscles in your neck and shoulders (which can also help with anyone who clenches their teeth) and support your head. I like this one because it's inexpensive, it works and it's a great retail product- I'm always a fan of something I can use that works that I can share with clients (and of course the retail profit doesn't hurt). I've heard clients say that it's the best thing between appointments to help alleviate their pain. It's also nice that you can use it while you're watching television/reading, while meditating or even sleeping. If you are looking for something to help your neck pain or have client's searching for a product to keep them in check between appointments, give this a shot. What does the cold weather bring besides snow, traffic, and ice? Aches and pains! 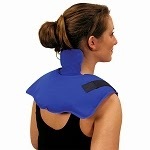 And what better way to soothe those aches and pains then a Kozi Herbal Neck Wrap. They were in and out of the warehouse this week. I'm thinking about getting one for my father for Christmas - He's always complaining about something hurting him. The lavender seemed to be the most popular this week... why? I have no idea... I'm just a shipping guy! See our great Kozi Herbal Neck Wrap selection HERE!